Blend the watermelon with 1/4 cup of soda water and sugar until you have a purée. You can strain the mixture if you want only liquid. Mix all the ingredients in a jar and serve. To make a non-alcoholic version for kids, simply replace the rum with soda. Summer is the ideal time for preparing drinks and cocktails with seasonal fruits. 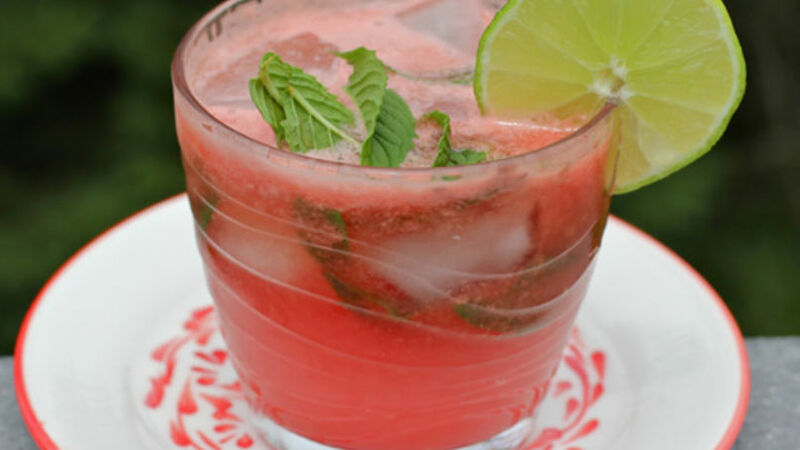 Today I bring you a delicious watermelon mojito cocktail that is very easy to prepare, this refreshing cocktail is prepared with fresh watermelon juice, lemon juice, sugar, mint leaves, soda and rum. This mojito recipe is very refreshing, and the perfect way to use watermelons, which are currently in season. I love this watermelon mojito and I think it's even better than the classic made with rum, mint and lime juice!